Speed into robot-fueled adventures with this Jada Toys Bumblebee remote control car. It's styled after the Transformer: The Last Knight movie for realistic adventures and uses USB charging technology for easy power ups. 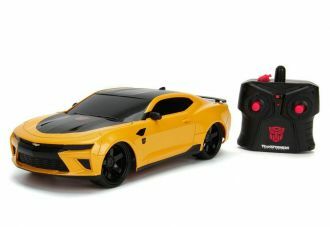 This 1:16 scale Jada Toys Bumblebee remote control car runs at 2.4 GHz.